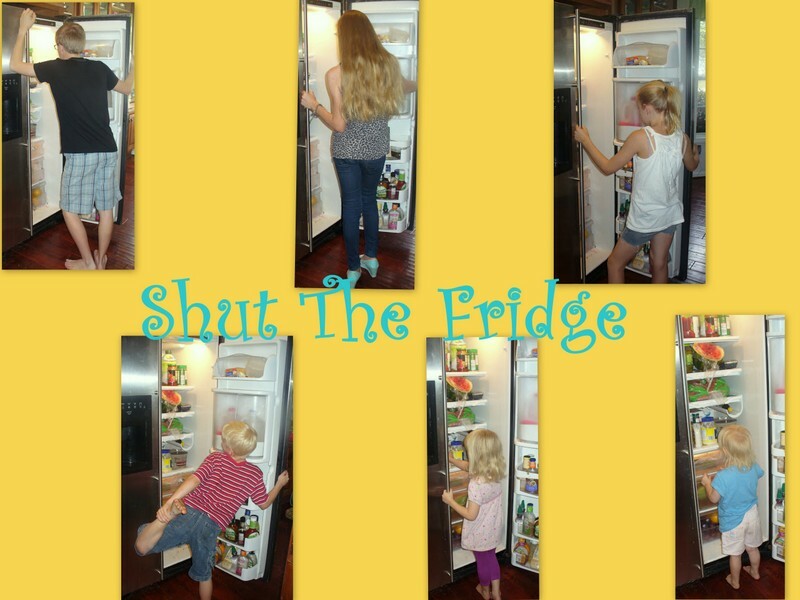 Shut The Fridge: Chores! Yuck! I am fairly certain that this is how every person alive really feels about chores. I know my children do. I don't think Rainman thinks too much about them......except when they haven't been done! I have tried various things through the years to help keep on top of chores....or even to make them more fun. They have worked with various success. One attempt that has sort of lasted the longest (even though I sort of pick and choose what aspects to follow), is FlyLady. I get overwhelmed with the e-mails from them that are supposed to encourage me....even though I switched to the one a day method. So, most of them end up just deleted....but, when I do take the time to read them, they are encouraging....so I don't remove myself from their mailing list. My latest attempt at assigning chores to the kids was actually pretty successful....but it involved me having to think. And, quite frankly, some days, I am just not in the mood to think. I would take a look around the house at what needed to be done. Somethings were on the list everyday (sweeping the kitchen)....some were just because we hadn't paid attention to them in a while (shoe area or piles of "stuff" on the stairs). I would try to come up with a certain number each day so the chores could be given out equally....one per child, two per child, or three per child...keeping in mind that V-girl (even though she thinks she is just like the big kids) can't do things the big kids can. She would usually just get 1 or 2 easy chores that I would give her from her "special" pile. Then I would write the chore on a little cut up piece of scrap paper and divide them into piles based on the number of jobs per kid.....like 2 jobs per kid equals 2 piles. Then I would hold them out like playing cards and the kids would pick their jobs. This method resulted in far less complaining than when I assigned them specific jobs. Although I did have to put a moratorium on trades because there was definitely some unfair trading happening behind the scenes. Like I said, this system was pretty good. Not great. Pretty good...as long as I was in the mood to think.....and could stand to hear whining if there were 3 piles instead of just one. That was a loooong introduction to now tell you about a review product we got to try as part of the Molly Review Team. 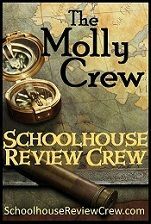 The "Molly" team is an extension of The OldSchoolhouse Reviews that I already do. The Molly Crew reviews items that aren't curriculum related. It's more of gardening, kitchen gadgets, and just general household or money saving ideas. Except for the gardening.....stuff that is right up my alley. It is called The Everyday Chore System put together by Everyday Homemaking - Practical Ideas for Busy Families. Doesn't that have a wonderful ring to it? Can you hear the choir singing? It was really everything I had hoped....and more. The Everyday Chore System is about a 90 page e-book. This book is a hit. I loved it. I will tell you even though I loved this book from the moment I printed it out and started reading it (there are some e-books that I have to be able to hold in my hands)....I didn't get started with the chore system right away. But, I will tell you more about that later. So, why did I love this before I even started using it???? And, how do I tell you about it without giving all the secrets away???? Well, here is my attempt at titillating you with just enough information to make you want to try this system out for yourself. The book had me at "hello". Who is this woman, and why is she telling me this? She goes on to tell a story about when she knew how she was training her kids to help run the household had paid off. A time when she was unexpectedly called away because of her sick father. Her girls stepped up in her absence and kept things running, smoothly. Do you know what that means? She did not come home to a huge mess. The schoolwork had been completed. Their chores had been done. They had brushed their teeth. The girls had handled everything. Now, before you accuse me of being sexist....because I said her daughters stepped in and ran the household......she only has daughters.....8 of them, to be exact (plus lots of foster kids). I read this book quite a few times and picked up different little tidbits each time. The whole first part of the book talks about child training being the first step to successful home management training. "I hesitated to even call this The Everyday Family Chore System (partly because I didn't want it to be misperceived as a How-To-Make-Slaves-Of-Your-Children system!)...." She goes on to talk about the expectation for the kids that work will be completed with a pleasant attitude, thoroughly, and reasonably well....according to their ability. Somehow, both my children and I can work diligently and pleasantly if we are at someone else's house, cleaning up someone else's things.....but can't seem to muster up that same work ethic and attitude at our own humble abode. Anyway.....she is also a proponent of consequences for a job poorly done. Sometimes even monetary consequences. But, the basic goal of all of this is to train your children to be responsible, skilled, and diligent. Have you ever wondered at what age your kids should be able to do certain things? Like brush their teeth? Do their own laundry? Change a flat tire? Change a furnace filter? Plan a budget? Get themselves dressed in the morning? Ms. Bentley has a "Life Skills" list included in this book that gives you an idea at what age to start training in these kinds of things and the age at which they should have it mastered. 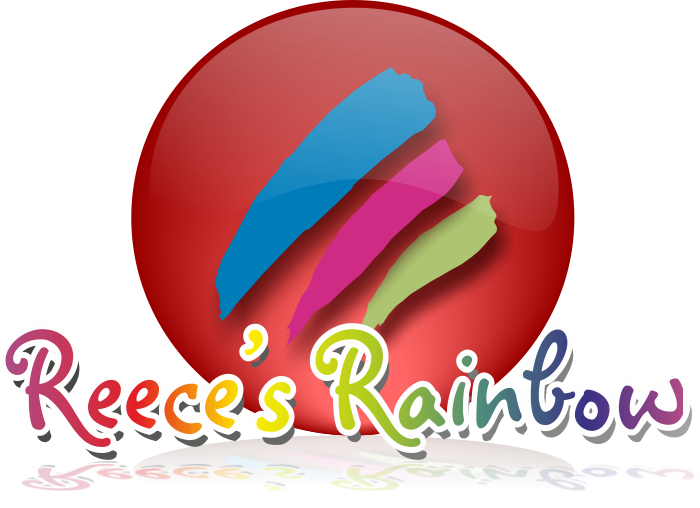 Kids do what we inspect and not necessarily what we expect. Read that last statement over in your head again. You know it is true, don't you? The actual system is working quite well for us....although I am still tweaking it a bit, so it matches the way our house is set up. She does use of bit of FlyLady's methods and mentality, especially on cleaning by areas or zones. Which is probably why I liked this system so much, since I have already been following the Fly Lady mentality around here. I mentioned earlier that I didn't get started on this book as soon as I could have. I started on my chore chart. For some reason, I wanted my chart to be beautiful and perfect before we even started. If you are familiar with FlyLady....you know that is those kinds of perfectionistic tendencies (like wanting a cute chore chart) that get us in trouble when it comes to keeping C.H.A.O.S. at bay. Any idea what C.H.A.O.S. is???? Can't Have Anyone Over Syndrome.....because your house is in such disarray. I took two big ideas away from me with this book. One is to make sure the kids understand what you expect of them. For example, if I give them the assignment to "tidy" their room. Their idea of what this means and mine, are two totally different things. So, now they each have a page protected list of bullet points taped up in their room, as to what I mean when I say "tidy" their room. The other big thing I took from this is to use the How To Do It cards. Which are exactly what they sound like.....again, helps the kids realize just what exactly you are expecting. Then, of course, you have to "inspect" too. I wish I would have had a laminator or had gotten clear Contact paper (as she suggested) to make my How To Do It cards a little more....ummm....sturdy. I have had to print out a few new sets of A-man's cards. He carries them with him like he is supposed to, when he is doing his chore, so he can make sure he is doing the job correctly and isn't forgetting any steps....but, then instead of going back to my cute little chart, they get set down.... in our good old Georgia clay...or, on the kitchen counter, where, of course, a watermelon is set down on top of them and cut up....a juicy watermelon....if you catch my drift. Oh, I forgot one little thing that it great about this system. It gets all of those little weird jobs done as you go along....so you don't ever really have to do a big spring cleaning (not that I ever have really done that anyway....but, you get the point). Those weird little jobs, like cleaning out the toaster, or washing the walls in the dining room, or scrubbing the baseboards in your bathroom. Maybe those aren't weird little undone jobs at your house....but they are at mine! Ms. Bentley also has an Everyday Cooking book that sounds awesome too. 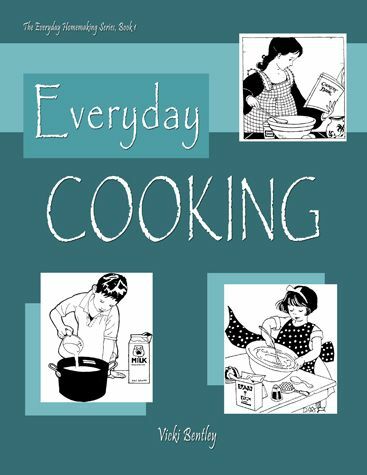 It is actually the first book in the Everyday Homemaking series. I am actually planning to get it, partly because the other reviewers have talked about how good the recipes are, but also because with a large family, I assume the portion sizes will be right for my family.....that doesn't happen very often. Her books also focus on whole foods type cooking, which is something that I am trying to do more of with my new eating plan (more on that later....planning some "before" and "during" shots....we aren't to the "after" yet!). 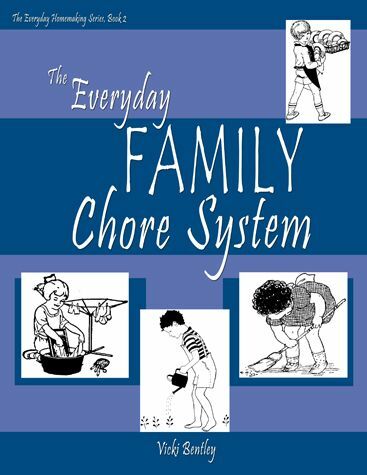 You can get The Everyday Chore System book for $19.99. If you want the e-book version and just print it yourself, you can get started immediately on making your own perfect chore chart, for $17.99. You want to see how cute, and almost "perfect" my little chore chart turned out? Don't just believe my word on what the other reviewers thought of Everyday Cooking....or even what I thought about the Everyday Chore System. Go take a look for yourself. Disclaimer: I received a e-book version of The Everyday Chore System for free, in exchange for an honest review.